The US Department of Defense announced that Lockheed Martin has been awarded nearly $548 million to manufacture and deliver 7,358 Hellfire II air-to-ground tactical missiles. 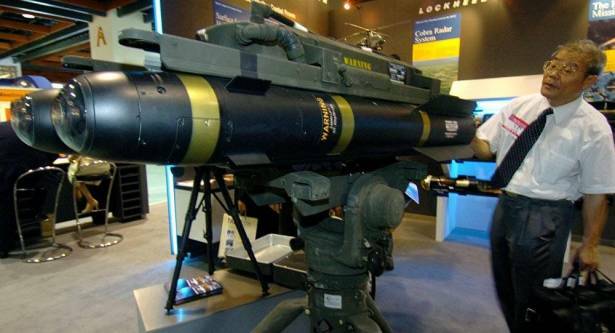 Lockheed Martin has been awarded nearly $548 million to manufacture and deliver 7,358 Hellfire II air-to-ground tactical missiles, the US Department of Defense announced in a press release on Thursday. "Lockheed Martin Missiles and Fire Control, Orlando, Florida, was awarded a $547,934,477 modification to a contract for a Hellfire II missile production requirement that consists of 7,358 Hellfire II tactical missiles in containers, in various air-to ground missiles models," the release said on Thursday. The Hellfire II is a precision-strike laser guided missile system, according to information published on Lockheed Martin's website. It is capable of passing through enemy electro-optical defenses to destroy advanced armor and urban targets.